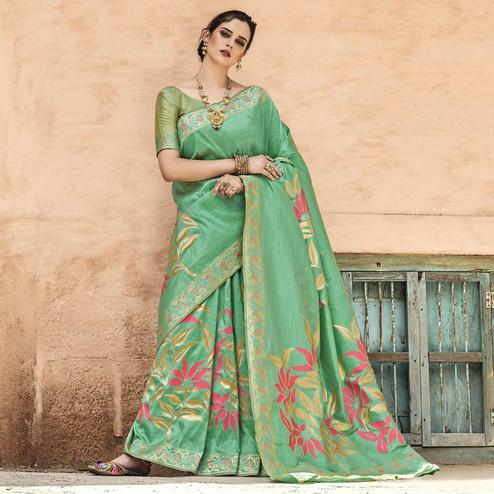 Drape this deserving green colored partywear saree. 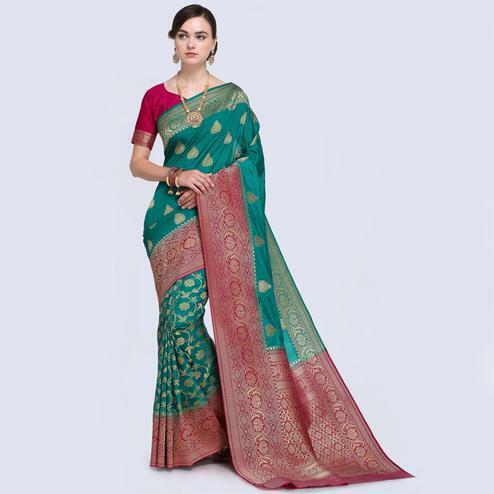 This saree featuring a beautiful embroidered border designs with designer style blouse. It comes with banglori silk blouse in unstitched type, which can be stitched as per your style & requirement. This saree would surely attract you showers of compliments when you wear it for parties, functions or occasions. Pair it with classy accessories to make the look more outstanding.